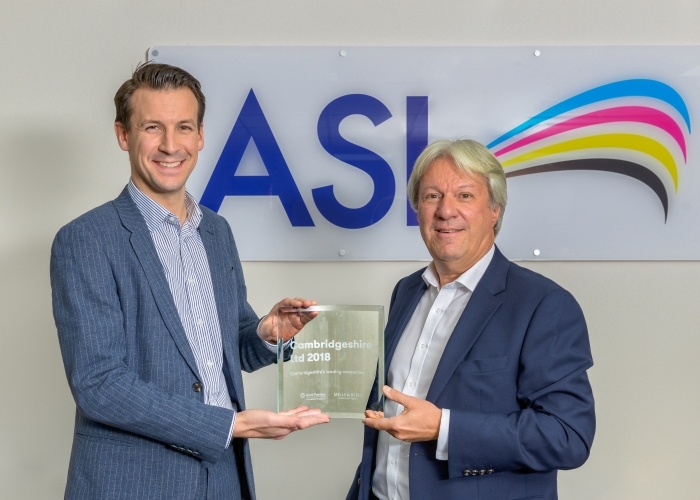 ASL was formally welcomed into the Top 100 list of Cambridgeshire companies at an award ceremony hosted by corporate finance advisors Grant Thornton. Entry into the Top 100 list is determined by an annual survey of Cambridgeshire companies and ranking is by turnover. ASL’s turnover in the last financial year was £23 million.